While things have quieted down here since the Mixtape drop, the resin dust has been flying at Scraped Resin HQ. We have a few fun figures and projects planned for the next few months, but before we get too ahead of ourselves, we wanted to show off some customized Battling Bastards that have started to pile up in our image folder. The first is a set of figures created as gifts for the recent wedding of my favorite cousin, Casey Garcia, to her awesome partner, Cindy Clark. If it wasn't for Casey, I doubt I would be as obsessed with action figures as I am today, as we both feverishly collected He-Man figures as children and spent countless hours pitting Eternia's finest against Skeletor's clan during our formative years. Case has been one of Scraped Resin's biggest supporters since we cast up our first bootleg, so I was determined to pump out the coolest figure's I'd ever made for my cuzzo. The results are Mixtape, and the newest member of the Battling Bastards universe, Steve Buscemi (?!?) 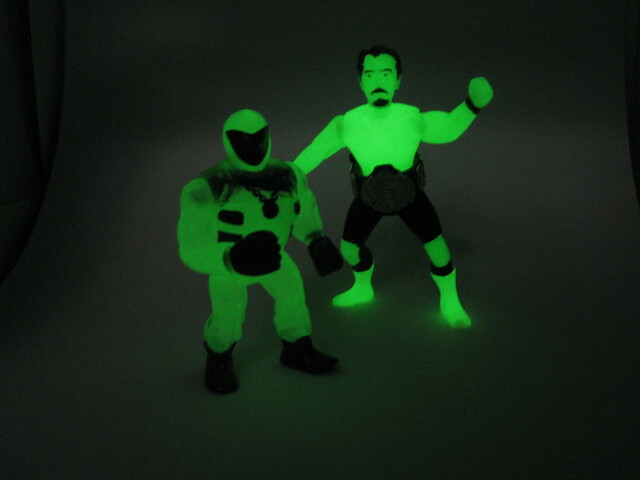 cast up in GID resin with black paint details, which I've dubbed "Glo-Force". Steve has been floating around the Battling Bastards universe for longer than you may think and we'll definitely be expanding on that in the near future. A big thanks to my girlfriend, Anna Morales, who has graciously lent her painting ability to the team. The detail work on display here looks great and we can look forward to much cleaner paint apps moving forward. 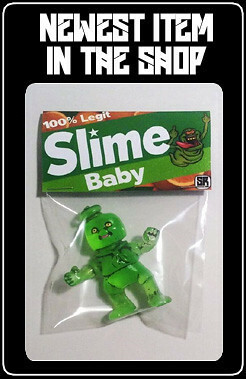 Both figures feature compatible magnetic articulation, allowing for wacky, mash-up fun. Hoodslam combines violence, pop culture and intoxication with a true love for professional wrestling in a way that I'd never seen before, and it's fair to say that I view having a few beers at a live Hoodslam show the way religious fanatics view going to church. After attending my first show earlier this year, I knew I wanted to approach them about making figures of their outlandish characters, and decided on customizing a Mixtape figure to show them I meant business. 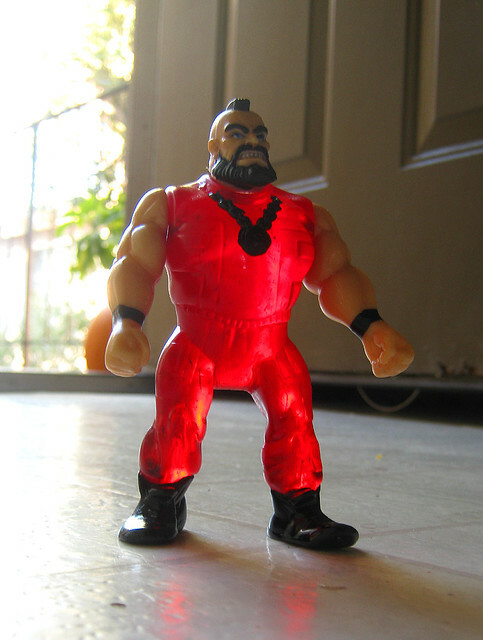 Using a MvC Zangief head and a new set of ripped arms I'd recently molded up, I turned the Tijuana Turntable Terrorist into the russian powerhouse, Zangiev, as portrayed by local grappler Alexis Darevko. 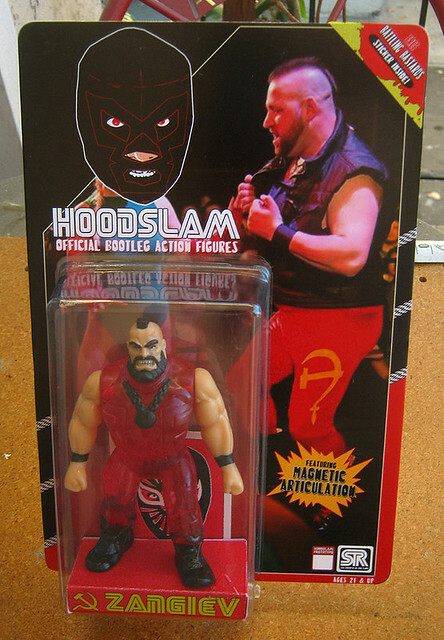 I'm proud to announce that Zangiev and the rest of the Hoodslam team were thrilled with the custom figure and they've given me their blessing to move forward with official Hoodslam bootlegs. 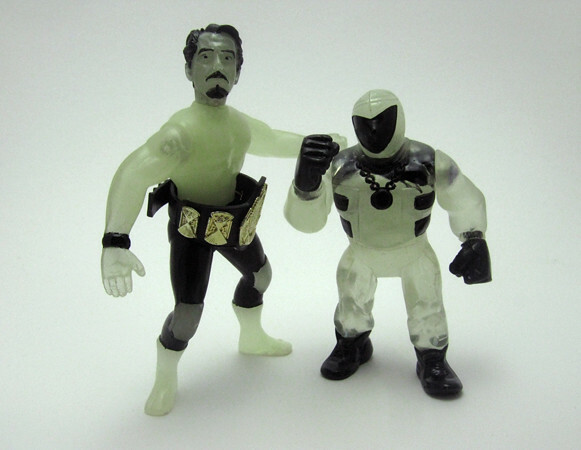 I've since been amassing an army of action figure limbs, heads and torsos, assembling plastic versions of Hoodslam's depraved warriors. More info on this very soon. 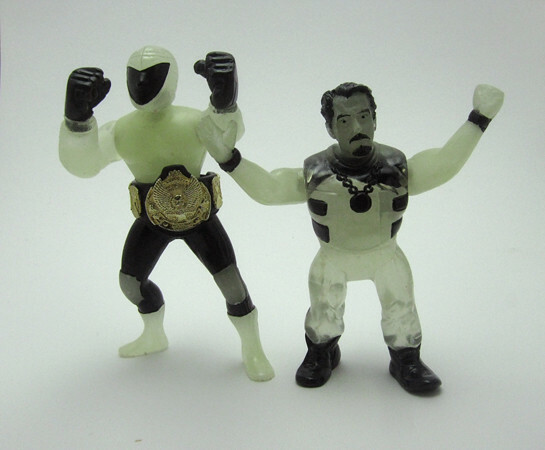 Check back next week for more custom Bastards and info on this month's drop which will include some timely variations of Carlos and Mixtape, as well as the return of El Cabroncito!